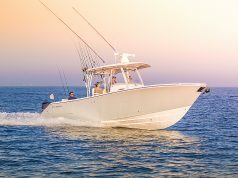 The newest member of the family is the versatile Boston Whaler 380 Realm. 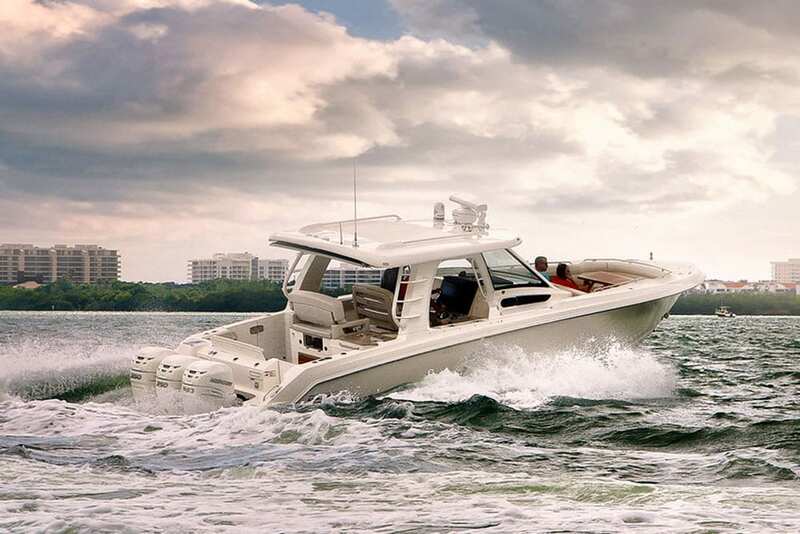 Combining performance with comfort, amenities include a robust cockpit prep center, refrigerated under-seat cooler, a social open bow, and more. 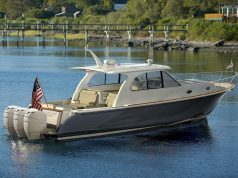 The center console layout and new windshield design provide unobstructed views, while a large, integrated hardtop provides shade. Maximum horsepower is four, 400-hp outboard engines, and a 450-gallon fuel tank provides excellent cruising range. Options include a bow sunshade, table and sun pad filler cushion, along with Seakeeper gyro stabilizer. 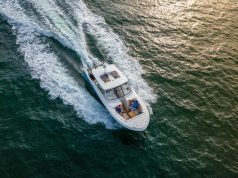 The cabin features a fully enclosed head with shower, galley, entertainment center, and convertible V-berth for overnight stays.